I have done a number of weddings recently and have been delighted by the lovely brides that I have met. 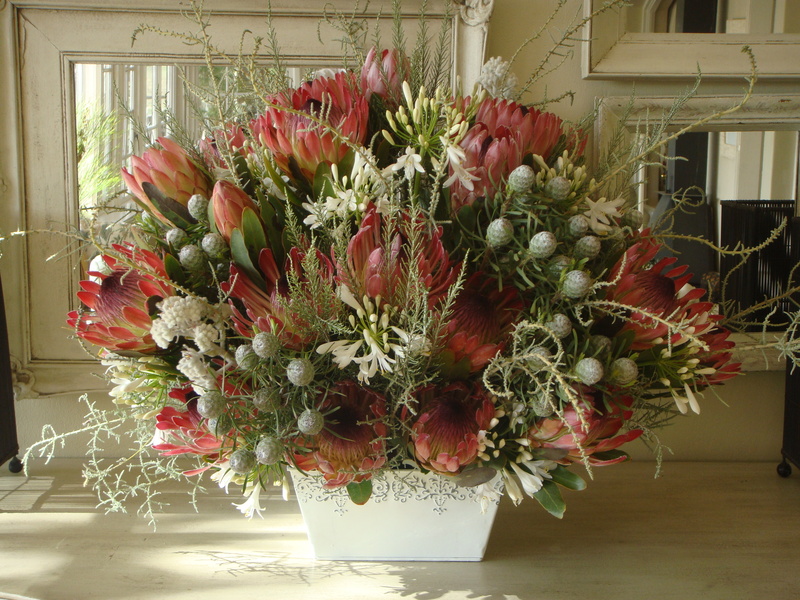 I was very dubious about doing weddings but was persuaded by some special people to do their flowers, and what a pleasure it has been – stressful (as I want the flowers to be really special!) but also very satisfying. 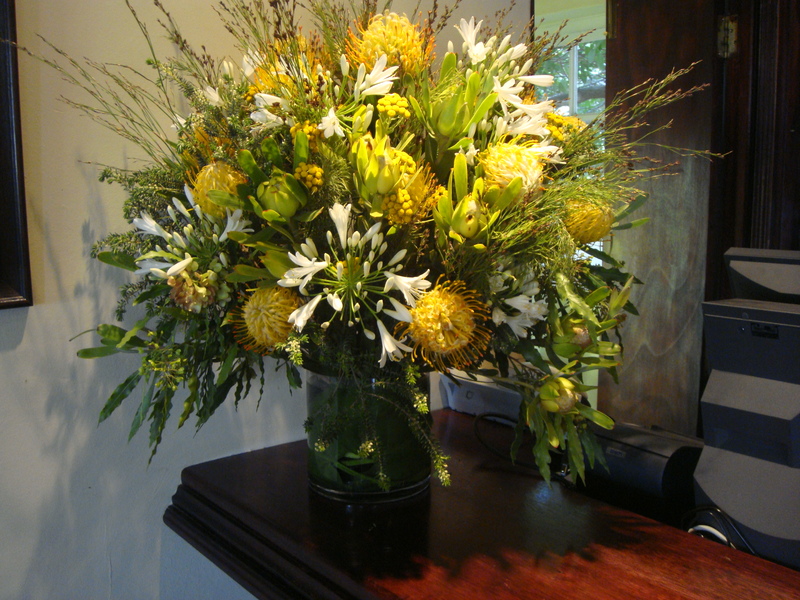 So……… if you want the garden flower feel or the fynbos experience I think I could be the flower person for you. I live in Elgin so the venue would have to be in easy reach. If you tend to want things a very specific way and a very specific colour I will only be able to help within reason as I have the weather and the seasons to contend with. I do however have the support of the local commercial growers from whom I buy flowers when my garden cannot supply what is needed. 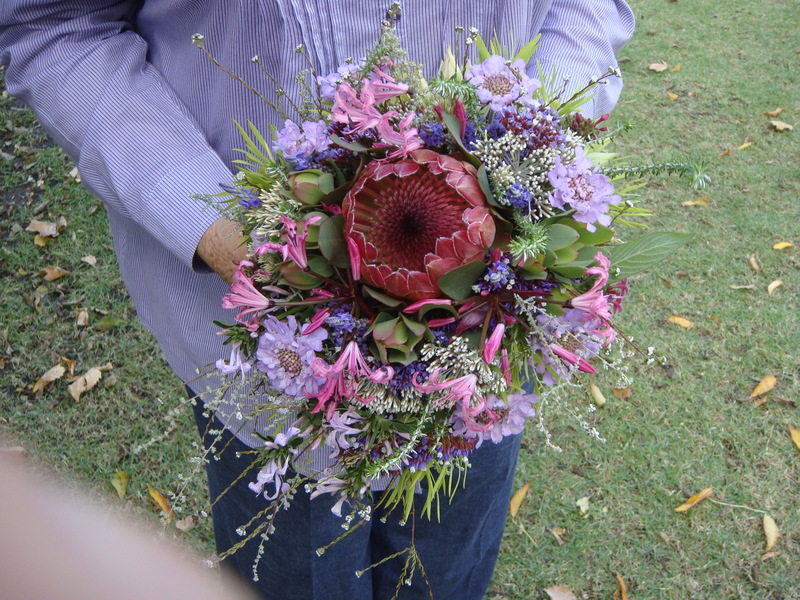 Fynbos Wedding Bouquet April 2010 - held by me! 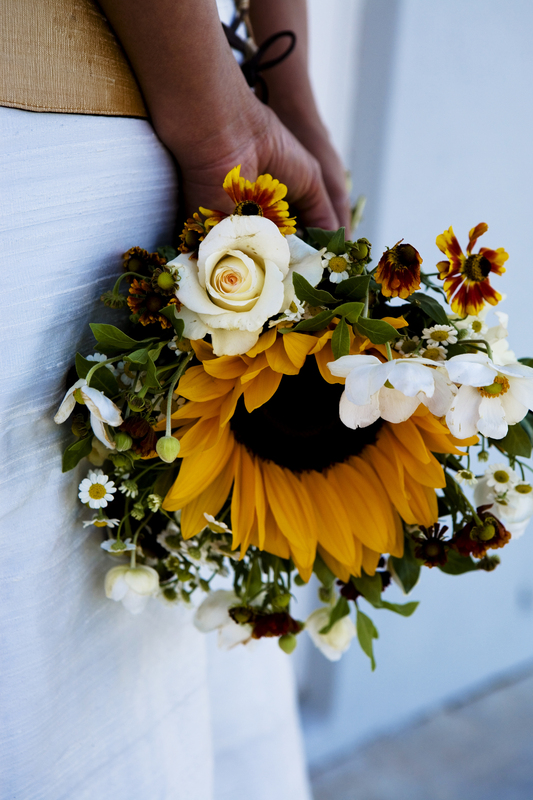 If you would like to view more photographs of wedding flowers click on this Wedding flowers link and this Wedding flower link and this for still more. For wrist corsages follow the link. These are fynbos wrist corsages.